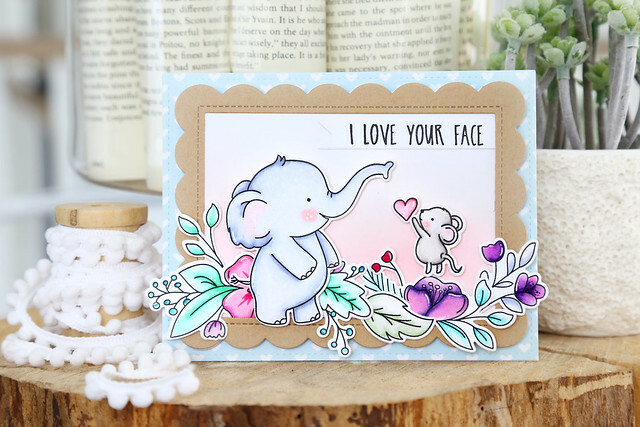 Welcome to Lawn Fawn's February inspiration week, where we take a closer look at some of the their spring collection. The entire spring line will be available in stores in just a few days - February 21st. I kept it very simple so that the papers could really stand out! 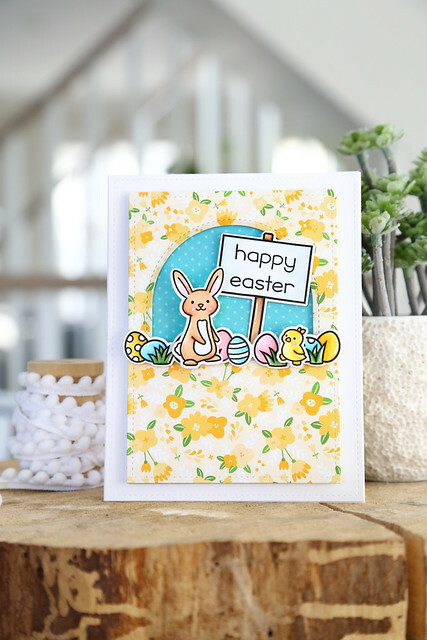 I used the bunny from Eggstra Amazing Easter, the sign from Open Me, and the egg border from Simply Celebrate Spring. 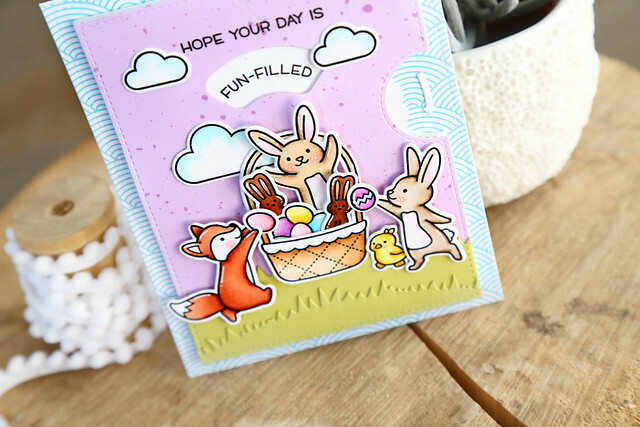 The critters are working on filling that Easter basket! My parents used to do that for us, those huge baskets were waiting on the kitchen table on Easter morning, and it was the best day of the year! 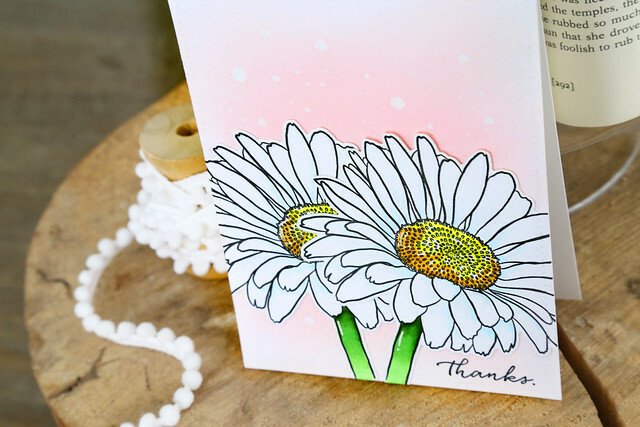 I love the Spring Fling floral paper that I used on the card base - it softens and sweetens the card so much more! 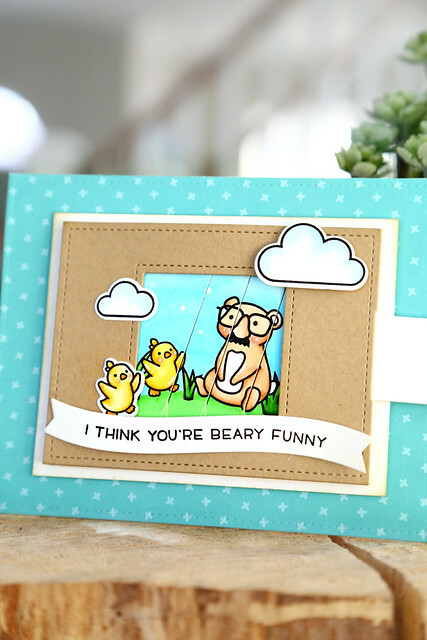 If you'd like to see more of how I made this card, Kelly recreates it in her video this morning. 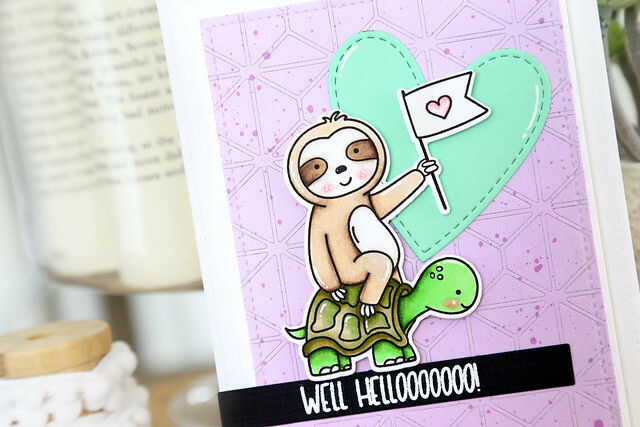 Check it out on the blog today - click! 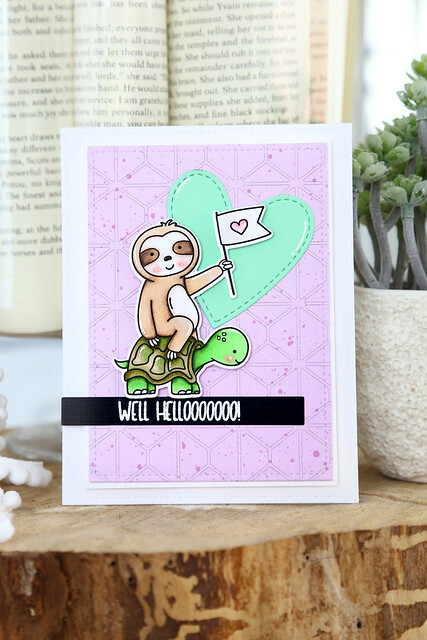 Welcome to Lawn Fawn's February inspiration week! Their entire spring collection will be available for purchase as of February 21st, and in the meantime, we are taking a closer look at some of the new products. Today, we're showing off my favorite set of the entire new collection, Butterfly Kisses. 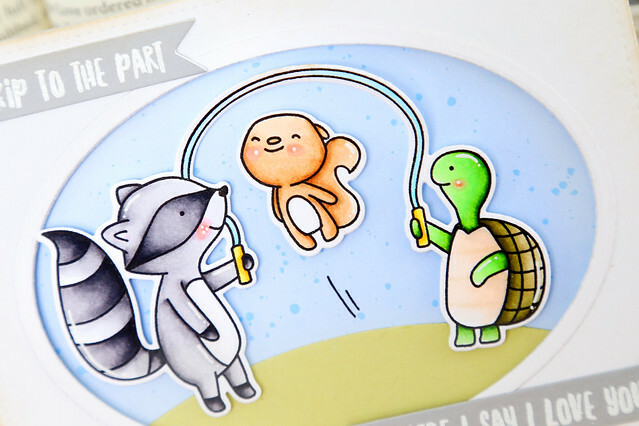 I love the little critters in this set! I created a storybook-type scene, and used nesting oval dies to frame it all out. 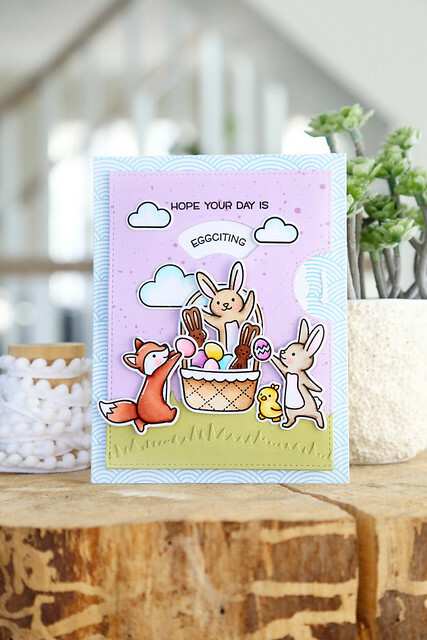 The butterflies are flitting about, and the little fox is chasing them while his friends look on. I love all of the white space - it still looks clean and simple, but the scene is detailed enough to be interesting. 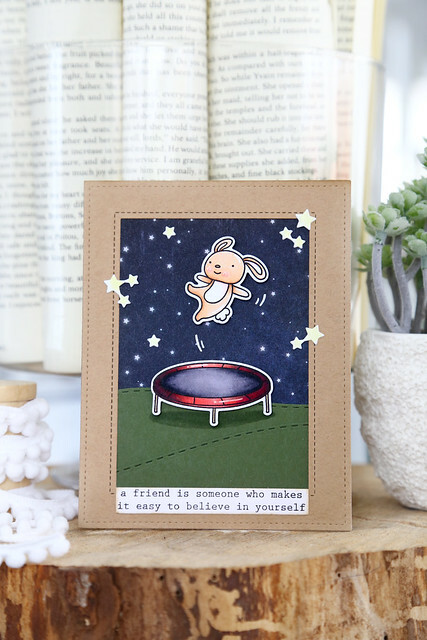 Welcome back to this month's Lawn Fawn inspiration week! 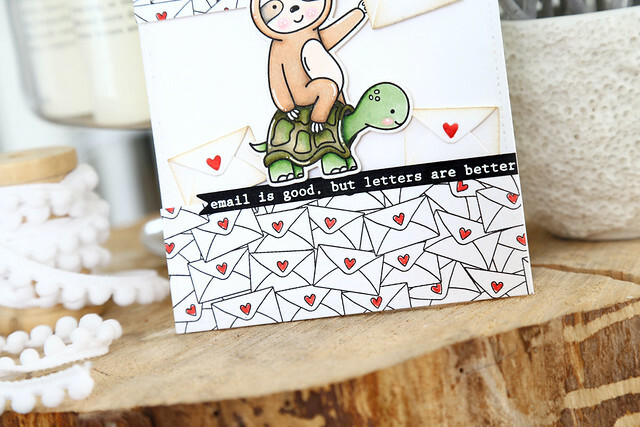 Today, we're showing off a brand new die called the Magic Picture Changer. It is so cool! 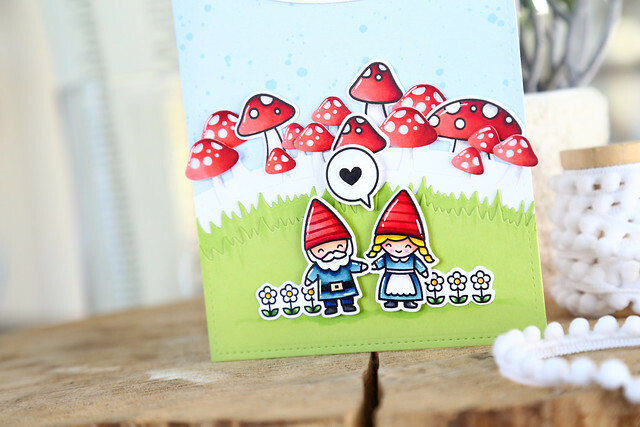 With this set of dies, you can create a picture that "magically" changes when you pull the tab. 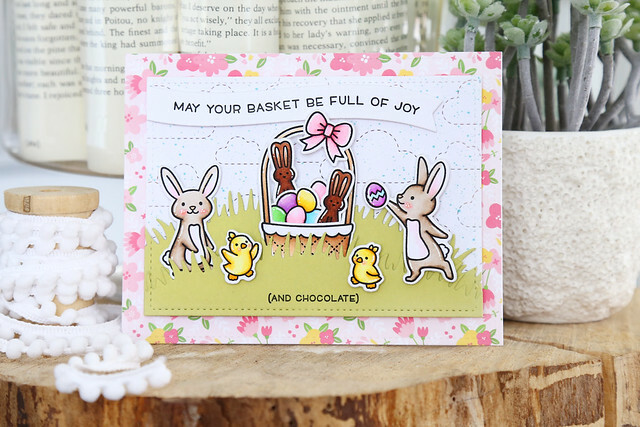 For my card, I used the bear from Butterfly Kisses, and a few little chicks from Eggstra Amazing Easter to create a serene spring scene. ha! I think I'm pretty funny for coming up with this one! With a pull of the tab, the bear is a comedian, wearing the joke glasses from Dad + Me. I hope you like it! 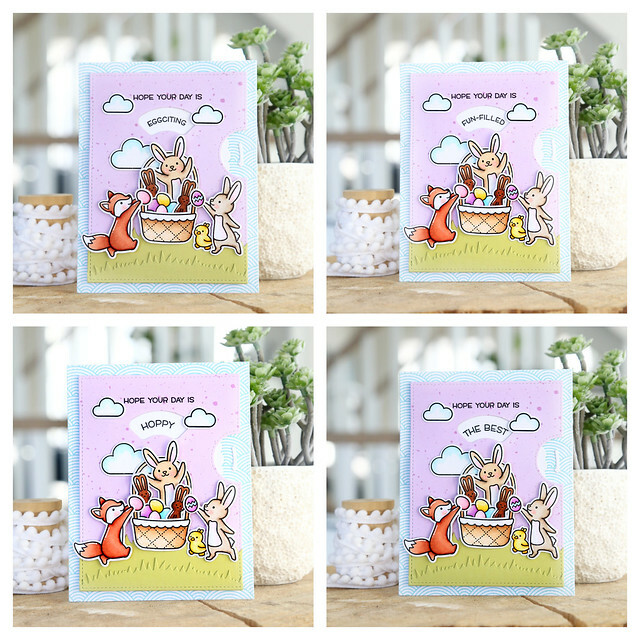 Check out the Lawn Fawn blog today for more of Magic Picture Changer cards - click! 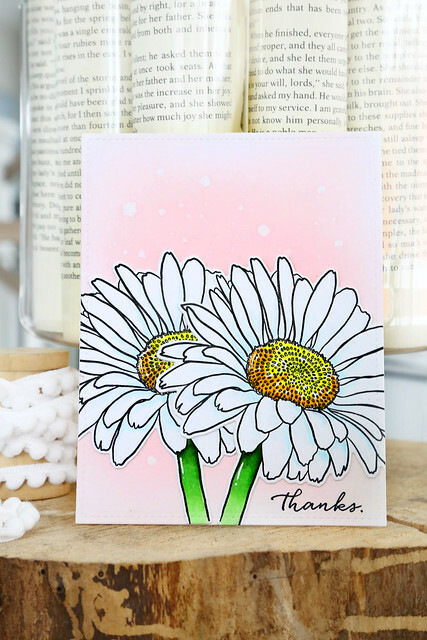 Welcome to day 1 of this month's Lawn Fawn inspiration week! On February 21st, all of the new spring products will be available for sale. It's been a long wait! 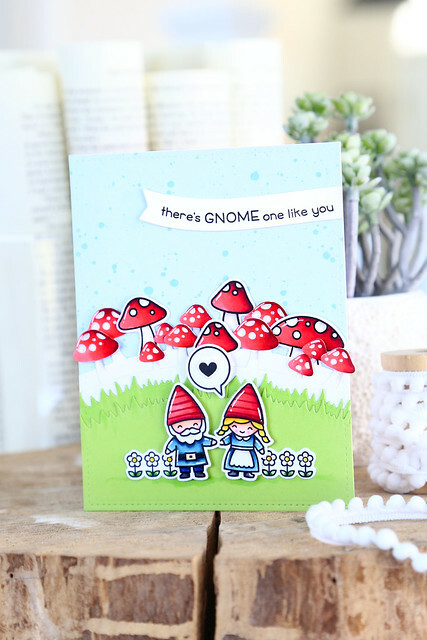 Today, we're showing off Oh Gnome, and I paired it with the also new Mushroom Border die. 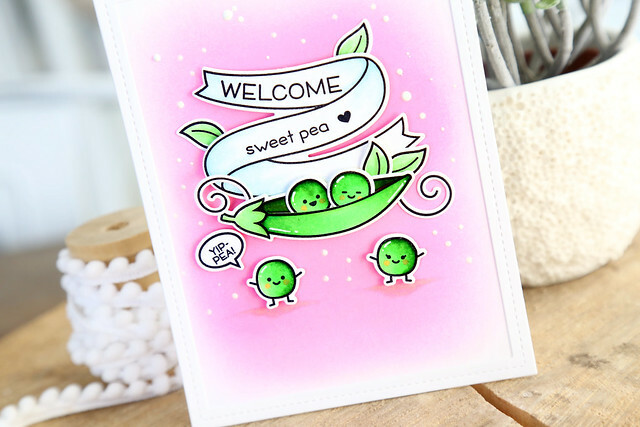 I showed off this card last month as part of the Creativation sneak peek week, but enjoy it again! The patterned paper sky is new too! I just love this whole pad of paper, from the Spiffy Speckles collection. I hope you like it! 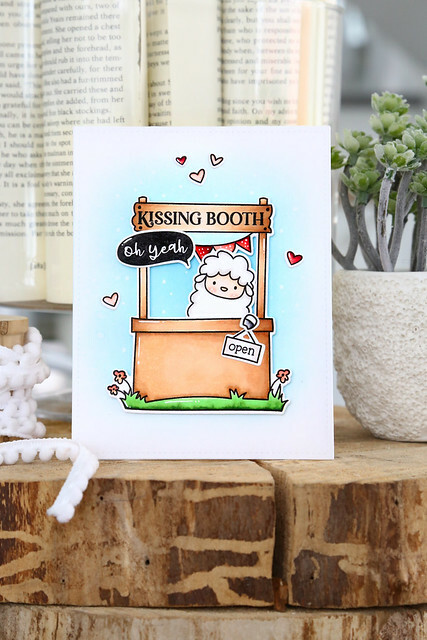 Kelly is re-creating this card for today's video, so if you'd like to see it from start to finish, check out the Lawn Fawn blog this morning - click! 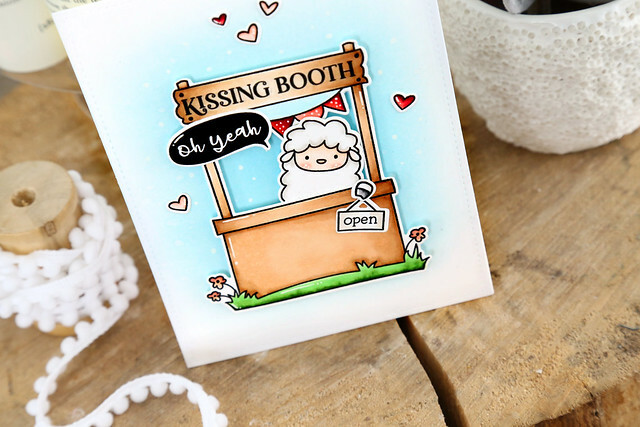 Welcome back to the last day of new product reveals for this month's Neat and Tangled release. Everything shown throughout the week will be available for sale as of 8am EST tomorrow morning. 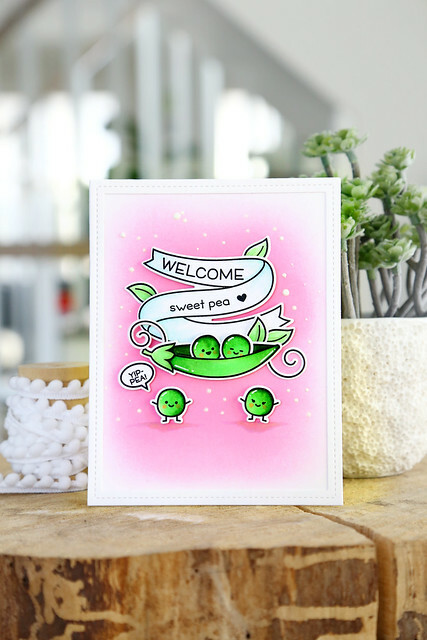 You might recognize these guys from my etsy digi stamp shop - but I'm so excited to have them as a physical stamp! Welcome back to day 2 of this month's Neat and Tangled release week. We're showing off new products all week long, and they will be available for sale as of Friday morning, 8am EST. Let's jump in! 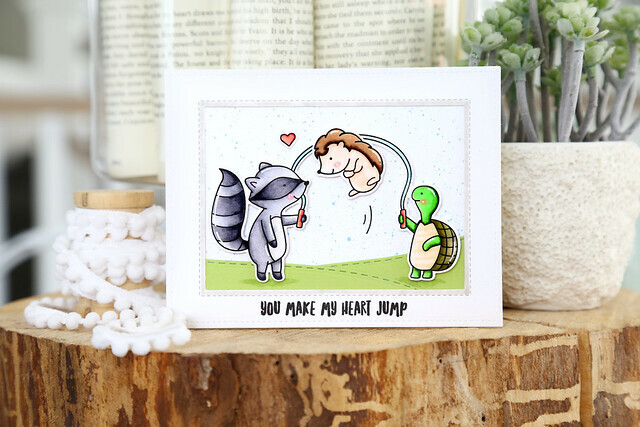 My newest 4x6 stamp set is called Jump For Joy, and features a little jump rope, a little trampoline action, and a whole lotta cute. The sentiment makes me smile so big! 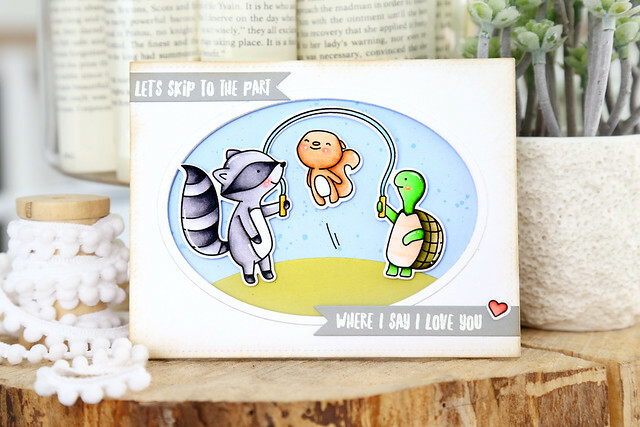 The raccoon and turtle stamp and cut out as one image, and you can choose to have a little jumping squirrel, hedgehog or bunny. They all have their own unique jumping poses. This would be a great set to use with interactive dies, too! You could set a little jumping path for your critter. 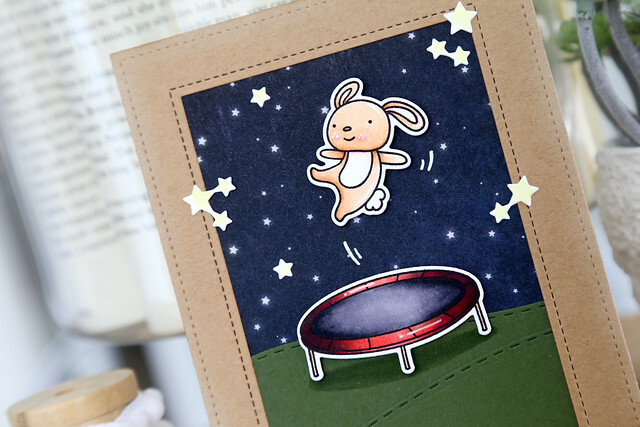 I love the bunny - he looks like he's ninja-kicking in the air. 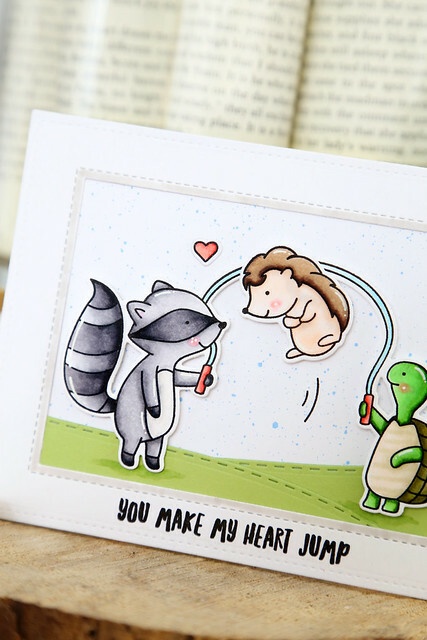 And this sentiment works with either the jump rope or the trampoline.